To provide transparent procedural information, agreement on service procedure is required prior to activating service. Please review below applicable procedures and provide Whatsapp or email message agreement with a simple “accept”. Or raise question / issue for discussion. Acceptance of this Aftersales Service Policy’s term is given when delivering robot(s) to Homertek Service Center for checking / repairing. Thorough cleaning of the robot (the body, wheels, extractors, cleaning head module and trash bin) is required before delivering the robot to Homertek service center. In case of otherwise, for the purpose of preserving its employees’ health, Homertek reserves the right to reject receiving of the robot for after sales service and will charge sender related delivery and send back costs. B. Within warranty period cases - One time free pickup service. Checking and repairing service free of charge, other than consumable items, such as filter, side brush, extractor, flexible brush, bristle brush, faceplate, robot wheel(s), non-electronic parts of cleaning head module, dustbin etc. 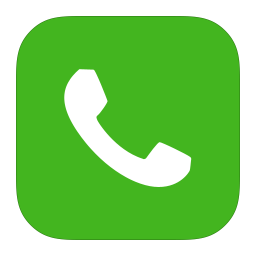 Contact our service center via Whatsapp (+852 5402 6584) or email (support@homertek.com). Provide purchase voucher (cash-receipt, invoices or equivalent document) and product serial number to activate service process. Provide issue description video or written issue description with details, following checking and repairing procedures will focus on issue(s) described only. In case of physical checking required and free pick up service not applicable, please arrange robot(s) to be brought to Homertek service center. Include all accessories such as charger, virtual wall units, home base and remote control etc. (if applicable) in the delivery package. Checking result will be provided max. 5 working days after robot(s) received by Homertek service center. Quotation will be provided if need, for replacement of part(s) not covered by warranty policy, actual repairing will not proceed until quotation is agreed and pre-payment made. Actual repairing will take max. 3 working days after payment received, a repairing completion notification will be provided. When repairing completion notification provided, please arrange robot(s) to be brought back within 15 working days after notification. In case of no further arrangement notification from the robot owner - requires Homertek’s agreement, the robot will be disposed on the 16th working day after repair completion notification provided. Homertek shall not be liable or responsible to the customer for such product or for any losses or damages whatsoever incurred in such event. No warranty available for repaired / replaced parts, other than battery paid for replacement - one year warranty (invoice is required in case of future after sales service needed ) . Please prove check and notify Homertek if issue solved after receiving of robot. In case of no notification, 3 days after robot(s) been delivered, Homertek will assume the issue been cleared. Provide issue description video or at least written description with issue details. Following checking and repairing procedures will focus on issue(s) described only. Free of charge(s) checking service. In case of checking required, please arrange robot(s) to be brought to Homertek service center. Include all accessories such as charger, virtual wall units, home base and remote control etc. (if applicable) in the delivery package. Quotation will be provided if need to replace part(s), actual repairing will not proceed until quotation is agreed and pre-payment made. In case of quotation not accepted, please retrieve the robot within 15 working days after quotation provided, robot(s) will be disposed on the 16th working day without prior notice. Homertek shall not be liable or responsible to the customer for such product or for any losses or damages whatsoever incurred in such event. In case of quotation accepted, payment made, repairing completed notification provided, please arrange robot(s) to be brought back within 15 working days after notification. In case of no further arrangement notification from the robot owner - requires Homertek’s agreement, the robot will be disposed on the 16th working day after repair completion notification provided. Homertek shall not be liable or responsible to the customer for such product or for any losses or damages whatsoever incurred in such event. Please prove check and notify Homertek if issue solved after receiving of robot. In case of no notification after 3 days robot(s) been delivered, Homertek will assume the issue been cleared.